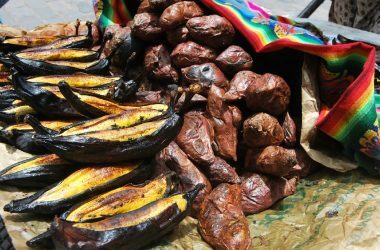 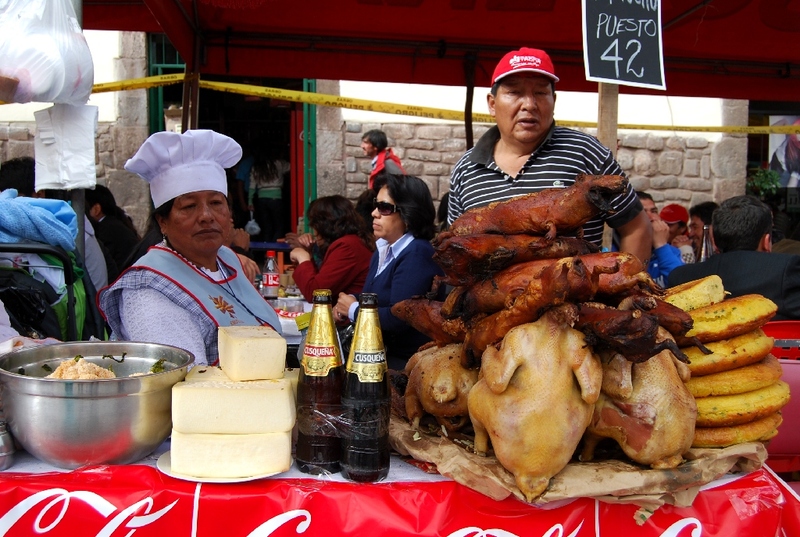 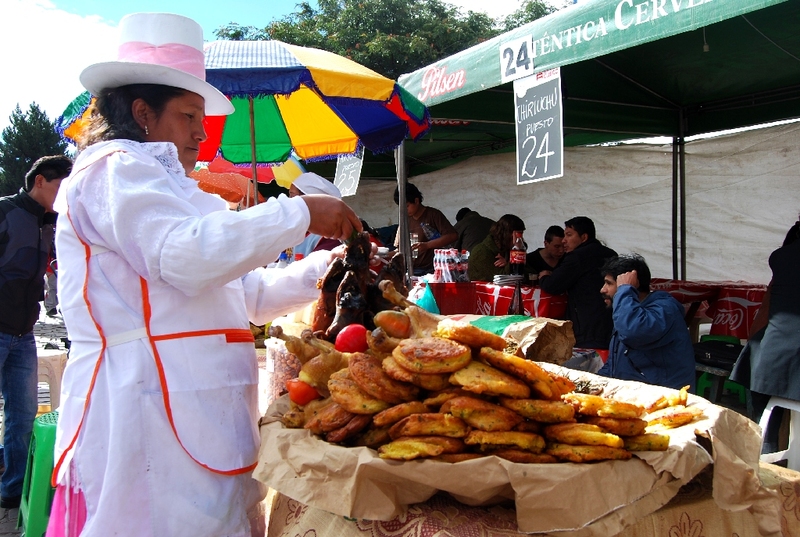 Chiriuchu, Cuzco’s festive dish, is like a world on a plate. 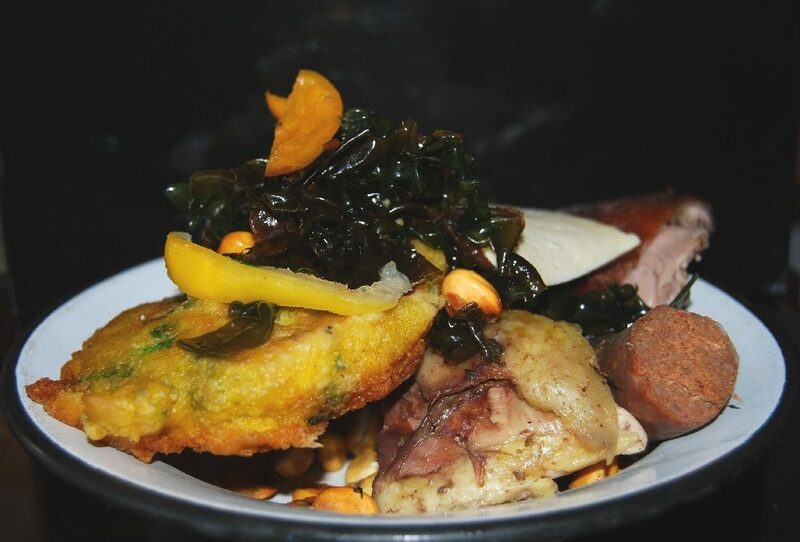 It works for festivities because it brings everything together, in the small portions of different ingredients of different types and from different regions. 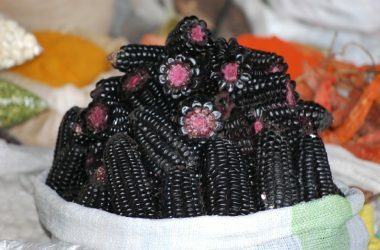 It has corn as its base, with guinea pig, chicken, a kind of jerky (chalona), and sausage on top of the kernels of gold. 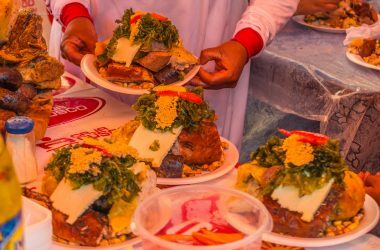 Then comes a slice of cheese from the neighboring highland region of Puno, a torreja (a Spanish omelette with corn flour, compis potatoes, yellow squash, onion greens, and spices), and then sea weed and fish eggs from the Pacific coast. A slice of colorful rocoto pepper occupies the top. 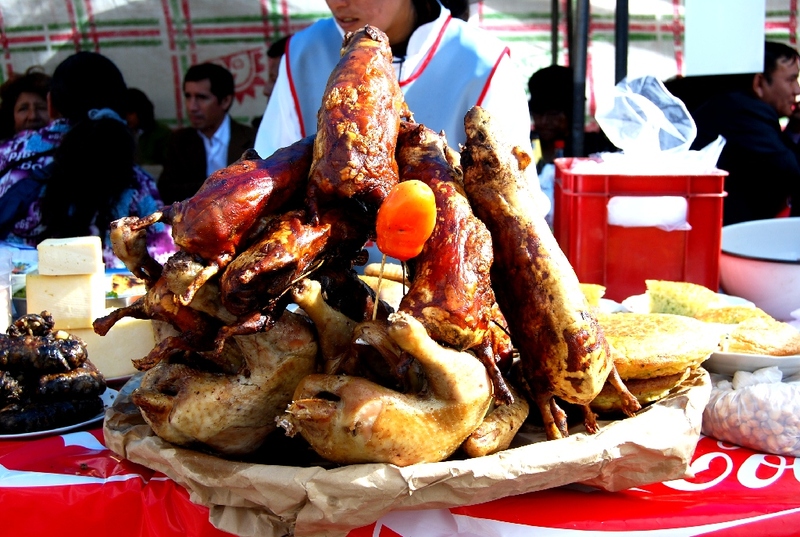 The dishes name, chiriuchu, means cold dish, since uchu which means hot pepper also is a general word for food. 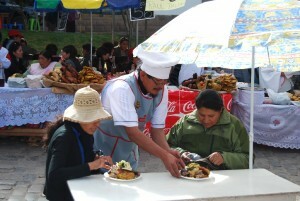 The dish is served cold and is eaten with the hands. 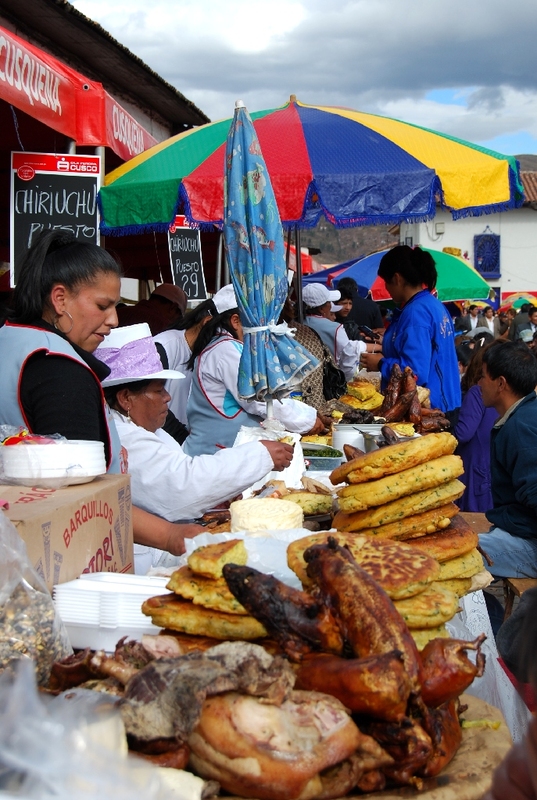 Yesterday and today, crowds of people will gather at the stands by San Francisco to sit and eat chiriuchu while musicians stroll through to serenade with their art. 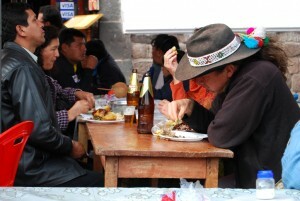 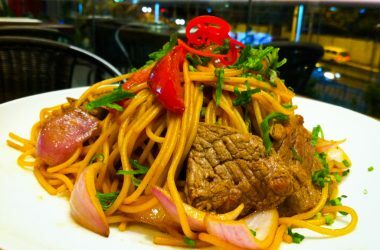 The dish can also be found in many restaurants with varying degrees of authenticity. 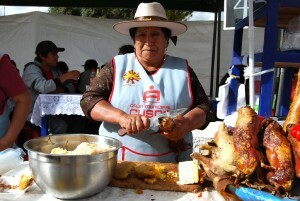 Chua Restaurant on San Juan de Dios in the Casa Qente is providing a special offering of their version of chiriuchu.